Summary: It's the first thing they teach you when you start school. But they don't need to; your parents tell you when you're first learning how to say your name. It's drummed into you whilst you're taking your first stumbling steps. It's your lullaby. From the moment it first appears, you don't tell anyone the name on your wrist. Review: Being a big dystopian fan I really enjoyed The Name On Your Wrist. The idea of having a carpinomen etched forever on your skin to tell you who your one soul mate is made me feel so many different things – reassured that there is one perfect person out there for you, but also completely restricted about who you could fall in love with. 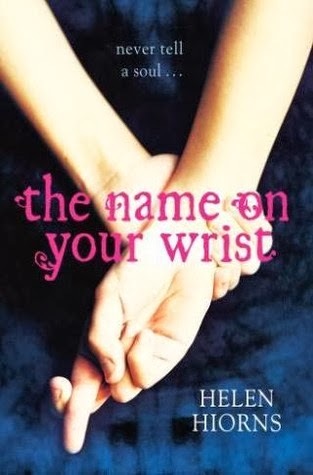 Being in a relationship with people with different names is frowned upon and as a teenager I can imagine that it would be hard to cover up your feelings for someone that didn’t match the secret name on your wrist. There were plenty of twists and secrets in the plot, particularly around about Corin’s sister Jacinta. I was completely hooked on the story and what had happened to both girls. There were revelations that had me shocked, awed and saddened. My one bugbear was the ending, which whilst completely unexpected and thrilling didn’t quite fit with my ideas of who Corin was. I loved Corin – she was snarky, not afraid to stand up for herself and had a big chip on her shoulder. She didn’t really have any friends, but she was bold and brave and I really liked her. Although I was dubious about Colton and his interest in Corin at first, I could see that he was really good for her and together they were a great match. Despite the questions surrounding whether they might be carpinomens, I was rooting for them 100%. Helen Hoirns’ debut book will keep you on your toes and make you really think about love, soul mates, and the value of freedom and personal choice.